So many stories hidden behind closed doors . . . It's late at night and the rain is pouring down on the Dublin city streets. A mother is grieving for her dead child. She stands silently outside the home of the teenage boy she believes responsible. She watches . . . In a kitchen on the same square, a girl waits anxiously for her mum to come home. She knows exactly where she is, but she knows she cannot reach her. A few doors down, and a widow sits alone in her room. She has just delivered a bombshell to her family during dinner and her life is about to change forever. And an aspiring theatre director has just moved in to a flat across the street. Her landlord is absent, but there are already things about him that don't quite add up . . .
Review: This book had tons and mystery and intrigue but also loads of heart. I don't want to give away any spoilers so forgive me if I'm a little vague on the details but safe to say I really enjoyed this book and I couldn't work out how things would turn out for our lovely characters until the very end! I love the fact that we have a book about neighbours as well, setting this in a square and having the neighbours all link together somehow and all be there for each other is such a unique concept but also something that I feel like we've lost of late, I don't know my neighbours but I can hear what they're watching on TV! So while there are some dark aspects to this book dealing with addiction, mental health and grief, there are definitely heartwarming moments in these friendships formed from being neighbours. I really liked main character Susan, she seems like she's really falling apart in the start of the book but she is aware of that and wants to do something about it and that's what endeared her to me. Her daughter Melissa is a real gem, as keeps being said in the book. I also love when we get to see some of a story from a child/teenagers point of view and this was no exception. She is so open and honest but really brings to light the kind of things that young carers have to go through. They we have Jane and Nancy who are definitely supporting characters but have their own troubles to deal with and weave into Susan and Melissa's story beautifully. I thought that Jane was way too trusting but it really suits her. I would love to hear more about Nancy in future. 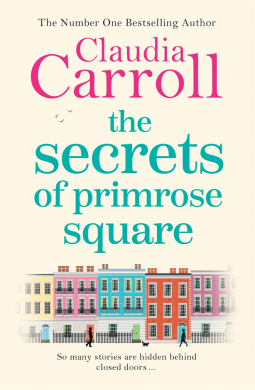 Obviously this book is set in Dublin which made for a wonderful change since there are so many books set in English cities or the coast these days, I liked reading a book set in Ireland. The theatre is covered, school is covered and having a partner and father in the armed forces is also covered. I loved the way Internet dating is seen in this book and as I say, although dark topics are included, they are dealt with in a great way. I listened to this on audio because I am a big fan of this narrator and would really recommend doing all of Claudia Carroll's books this way! Bout of Books Wrap Up! 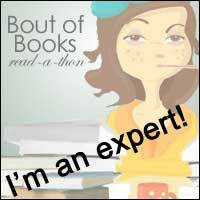 Bout of Books 23 Sign up and TBR!